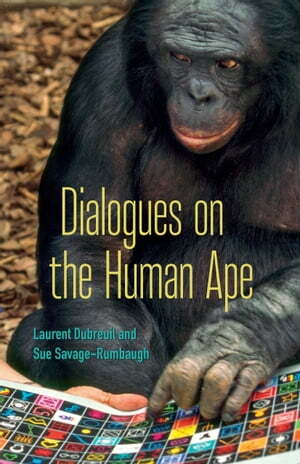 Collins Booksellers - Dialogues on the Human Ape by Laurent Dubreuil & Sue Savage-Rumbaugh, 9781452958293. Buy this book online. Humanness is typically defined by our capacity for language and abstract thinking. Yet decades of research led by the primatologist Sue Savage-Rumbaugh has shown that chimpanzees and bonobos can acquire human language through signing and technology. Drawing on this research, Dialogues of the Human Ape brings Savage-Rumbaugh into conversation with the philosopher Laurent Dubreuil to explore the theoretical and practical dimensions of what being a “human animal” means. In their use of dialogue as the primary mode of philosophical and scientific inquiry, the authors transcend the rigidity of scientific and humanist discourses, offering a powerful model for the dissemination of speculative hypotheses and open-ended debates grounded in scientific research.